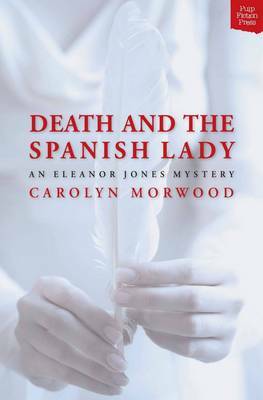 Taking place about four years after the action depicted in DEATH AND THE SPANISH LADY, Carolyn Morwood’s second Eleanor Jones novel is set in Melbourne during the rather intense late spring of 1923. The police have gone on strike over their poor pay and conditions and while authorities struggle to co-opt enough ‘special constables’ from the ranks of returned soldiers there is an unusual amount of violence in the city’s streets. Against this backdrop Edward Bain, reporter for The Argus newspaper, is found dead in his office. Eleanor Jones has returned to her pre-war job and also works at the paper now but retains enough knowledge from her time as a nurse during and immediately after the war to know that Edward’s death is unnatural; she suspects cyanide poisoning. At first Eleanor is more mildly curious than intensely interested in the investigation into Bain’s death. She is more troubled by personal matters, particularly the state of her brother Andrew’s health. They are both living in their parent’s Melbourne house while their parents are travelling abroad and Andrew is still suffering the effects of the shell shock he returned from the battlefield with. However when the police start to suspect a woman Andrew has become friendly with Eleanor is prompted to become more closely involved with the investigation. She’s not sure her brother can cope with another tragedy in his life. The characters here are all well drawn; they’ve some foibles and some secrets they want to keep and there’s silly behaviour they continue to engage in even when it doesn’t really make sense. Just like real people right? Eleanor is happy enough with her work as a film reviewer for the paper but her personal life remains problematic: the man she is interested in (despite her best efforts to ignore the attraction) is married to someone else. However she doesn’t mope or dwell on this unfortunate circumstance, and is far more worried for her surviving brother (the other died during the war). The depiction of her not knowing how to help him is very realistic, as is his portrayal as a man struggling to deal with all he saw and experienced during the war. The story is a first-rate, traditional whodunnit. There are plenty of plausible suspects whose elimination follows a suitably twisted path, with the involvement of Eleanor (and friends) feeling as credible as it’s possible for amateur sleuths to do. And there are some really interesting background elements here including a glimpse into the running of a newspaper and the inclusion of a psychic character with a difference. This is all topped off with an excellent sense of time and place: even though it’s 90 years ago the depiction of a city which wouldn’t dream of letting a little thing like mass rioting get in the way of running the Melbourne Cup is spot-on. 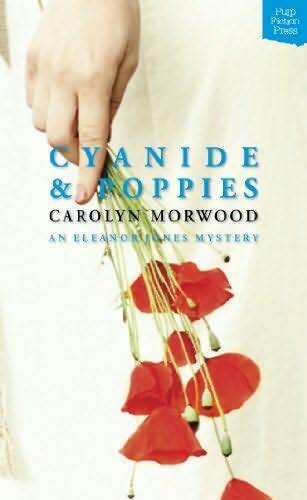 I’m really glad I was able to get my hands on a copy of CYANIDE AND POPPIES (which was no mean feat) and can recommend it to fans of historical crime fiction. It really does have everything you could look for from this genre. Just as the world began to recover from the horrors of the first World War one of history’s deadliest natural disasters started to take its toll. The Spanish flu pandemic that started in 1918 and lasted until the end of 1920 in some parts of the globe eventually killed between 50 and 100 million people. Although a fictional tale, Death and the Spanish Lady has this very real historical context at its heart. It opens in Melbourne, Australia in 1919 and Eleanor Jones has returned to nursing, against the wishes of her family, because she feels duty bound to help in such desperate times. She is working at the city’s grand Exhibition Building which has been re-purposed as a makeshift hospital because more beds for the sick and dying are desperately needed. We’re slowly introduced to Eleanor’s family and friends, some of the other nurses and some patients as Morwood draws a very authentic picture of what it must have been like to live during this period. With public venues like theatres shut for the duration. everyone urged to wear masks at all times and continuously wash hands there is a palpable level of fear at the thought of coming into contact with any other human. Having already been through the hardships of the war, with many having lost loved ones to the conflict, it was a grim time indeed. You could be forgiven for suspecting that a lone murder of a hospital patient might go unnoticed amidst such devastation but it is discovered and just as many people want the truth uncovered as want their secrets kept. This particular historical event is one that has always fascinated and I was quite excited when I heard about a new Australian book with this as its backdrop. Happily I was not disappointed as the setting proved realistically drawn and a great background for the drama. I couldn’t help but compare the setting to that depicted in Chris Womersley’s Bereft which is set during the same period but in an isolated rural area. In both books the fear of the disease is very well depicted but you do get the sense this would have been one time when living in a city might have been beneficial as the increased risk of contamination might have been balanced out by the easier access to medical help and the myriad kinds of support that disaster brings out in local communities. If I’d had to choose between living through the pandemic in Womersley’s Flint or Morwood’s Melbourne I’d certainly have opted for the latter. Eleanor Jones is an interesting young woman and one I enjoyed meeting. She is from a fairly wealthy family so had no need to enter into any career, let alone one that put her in such danger as being a wartime nurse would have done. Like virtually all of the characters in the novel she has suffered her share of losses from the war but she soldiers on believably. Her foray into amateur detection is a little bit far-fetched but I don’t think I’ve ever met an amateur detective who wasn’t at least slightly implausible and once she begins her work the problems she encounters are very credibly drawn. There are loads of other characters to meet, many of them just as strong and interesting including Eleanor’s mother who takes her mind off her own troubles with charitable works and some of Eleanor’s fellow nurses, all of whom have secrets they want kept. The story is a little bit slow in a couple of parts and I find it a stretch to imagine the police doing absolutely nothing to find the suspect they were seeking for the murder but that’s a well accepted trope for amateur sleuth books. These are minor quibbles in an otherwise above average tale which has a very absorbing atmosphere and lots of hints about where future instalments might go. I for one will be waiting impatiently for the second book. 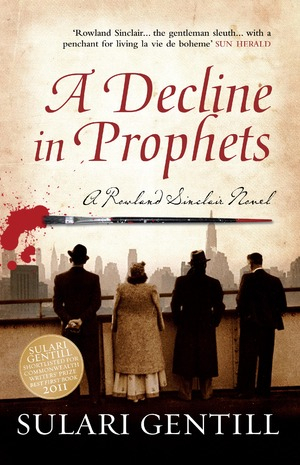 Strongly recommended, especially for fans of historical fiction. 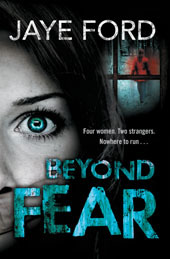 It’s been about 10 years since Carolyn Morwood’s two earlier Davitt Award winning crime fiction novels featuring a present-day amateur sleuth were published (An Uncertain Death and Simple Death) and I’m pleased to see her back on the bookshelves, especially as rumour has it this is the first book of a trilogy. 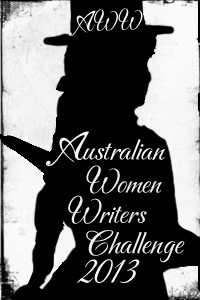 It’s also great to see another small, indie publisher putting out new Aussie crime fiction and they’re even accepting submissions. Way to go Pulp Fiction Press.